I am in the last semester of my undergraduate program. There’s much to be done. There’s the thesis film, there are classes, jobs, freelance projects, and there is more learning and discovering. So I’m in this 3D Digital Design class, called Advanced Studio, taught by Shaun Foster. It’s all about research and discussions on technology and design, workflows, and tools. At the core of the class is a semester-long independent study project of our own choosing. Great, I can sit in my comfort zone all I want! But no, not really. 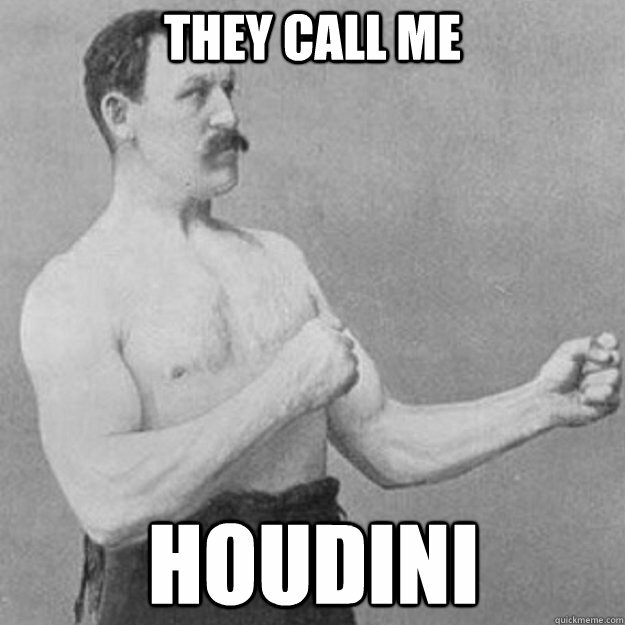 Ever since my summer internship at Pixar, I’ve been craving to get to know Houdini better. Great. So, Houdini is a powerful tool for any kind of effect or simulation, and that’s what it’s mostly used for. However, it has strong procedural capabilities for many stages of the 3D pipeline. All of this showed me that here, in front of me, is a tool with many possibilities and untapped potential. And I’d like to explore it. This semester, I’m making it my goal to learn Houdini, and use it to create a scene with a procedural environment and effects. It won’t be the lofty goal that I wanted to do initially – not the monstrous integration of Houdini, ZBrush, Katana, and Nuke with a renderer that I’ve never used before. That would have been nice, of course. However, there is no way it would be possible for me to complete such a task in a semester when I have so many other things at hand. Therefore, I’ve scaled it down to just Houdini (and perhaps some Nuke for post if I have time), and exploring proceduralism and effect simulation within the software. I’ve looked into some other 3D programs that could potentially tackle such tasks. For a while, I was set on Vue. Vue looked like my dream come true: making gorgeous painting-worthy sprawling landscapes in 3D. I’ve read reviews, interviews, and random views on Vue (see what I did there? ), and it seemed as though most people who’ve used it praise it. It is used in the industry a lot, judging by the number of studios and films implementing it. However, there are some downsides to Vue, and ultimately, personal reasons why I chose not to go with it. Vue is a tool to make matte paintings in 3D. It is used a lot in conjunction with Photoshop, Nuke, and sometimes Maya. Most of the people saying wonderful things about it are concept artists or matte painters. From this, I deduce that it is more an artistic tool than technical, and that’s why I chose not to use it. As a TD, I find it more worth my time to learn something technical that goes against the grain of my thinking and pushes me further. I can make pretty pictures on my own time. For this opportunity to learn and expand my skill set (and branch out into realms beyond traditional modeling and set dressing), I would rather choose something to challenge me. Besides, it looked like most terrain-building tools came with lots of presents and required little technical prowess, and frankly, often appeared cheap in the quality of their renders. So I’ll be using Houdini. I can’t promise that I’ll make something as magnificent as Mount Rainier, but I’ll give it my best shot. Coming up next: concept art for the project and first Houdini tutorials to figure out what’s going on. The following images are brought to you from this semester’s various Lighting & Rendering class assignments. As I really wasn’t able to update my page with actual projects, here’s a whole bunch of screenshots of what I’ve been working on from February till now. This is my favorite class of the semester, and definitely a very dense class in terms of new information and skills. I get to do the things I like best: concept art, modeling, texturing, and lighting. At least it gave me a chance.